These mistakes that I've made are staring back at me. So I'm ending where I started, I'm sinking in the sea. It couldn't come much sooner, screaming back at me. Just to pick ourselves back up and start over again. Without you, I'll start over again. This is what I believe, you're never gonna take away as long as I'm around. I can't forget, I won't stop now! It's in my blood I'll show you out. And I know you'll never hear me now as long as I'm around! Now crawling from the bottom, I'm digging my way out. These bridges that I'm burning are slowly crashing down. If I never took my chances, I would never know. This is what I believe you're never gonna take away as long as I'm around. 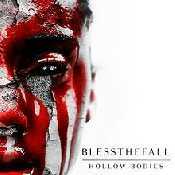 - Álbum "Hollow Bodies" del año (2013)	.